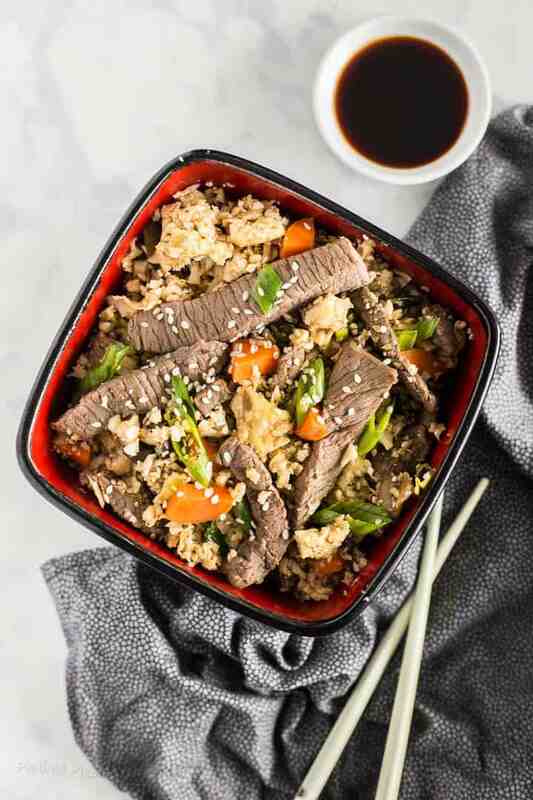 Keto Beef Fried Rice made with cauliflower rice is a low-carb and keto stir fry ready in about 20 minutes. Cooked in one pot for an easy weeknight dinner, leftover lunch, or meal prep. 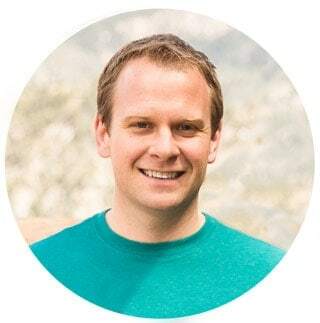 Recently I’ve been cutting out carbs from my diet and focusing on healthy fats and lean proteins, which is essentially a keto diet. This means limiting items like rice whenever possible. 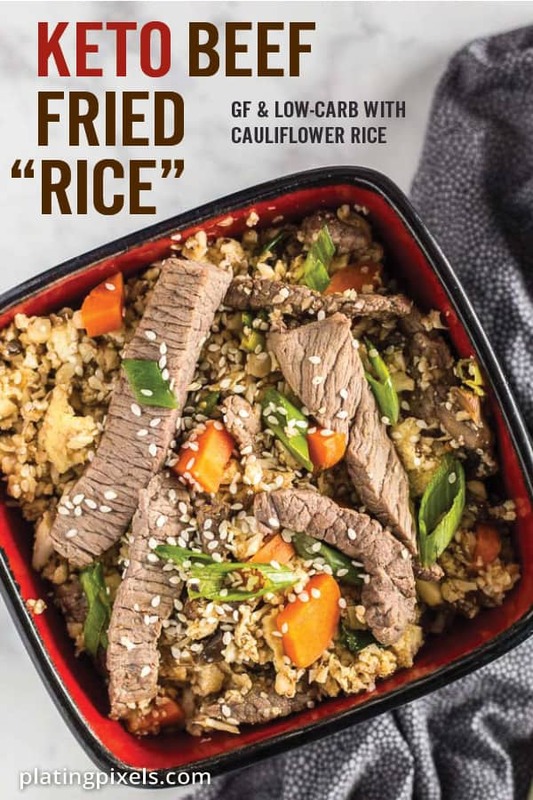 A great alternative is cauliflower rice, which is the base for this Keto Beef Fried Rice. This recipe requires a few easy to follow steps and is cooked in one pot for quick cleanup. 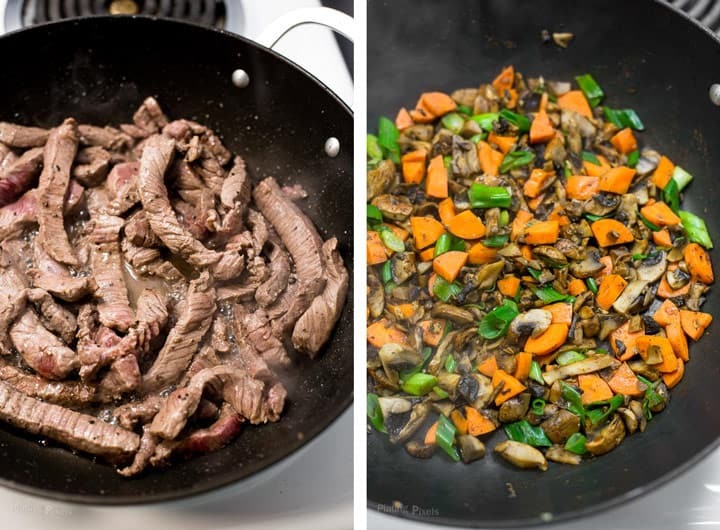 Nutrition highlights: This low-carb and keto stir fry cuts out gluten and sugar, which is found in most Asian sauces. What you’re left with is delicious, wholesome flavor with only 4.5 net grams of carbs per 8-ounce serving. 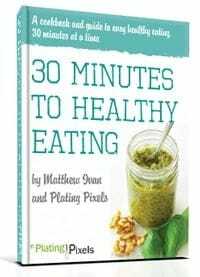 You’ll also get 22 grams of healthy fats and 27 grams of protein, with only 300 calories per serving. Cauliflower: A low-carb alternative to rice with similar texture and wonderful flavor. 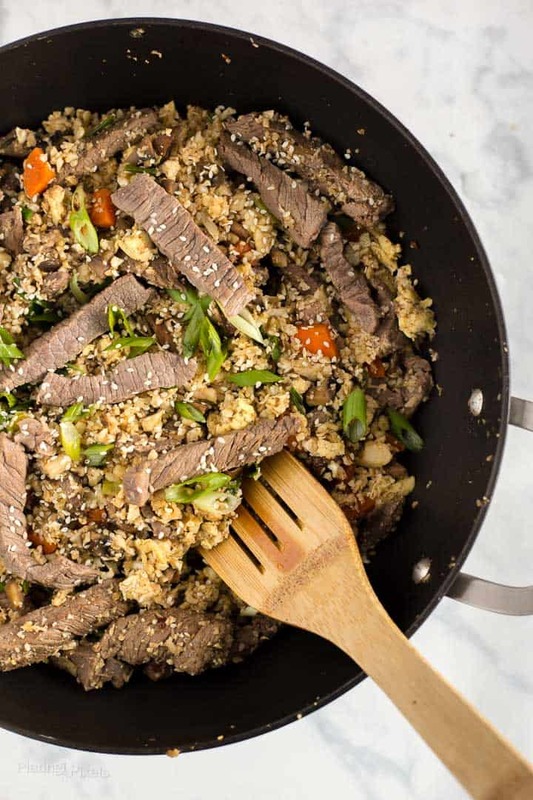 Beef stir fry meat: Beef that’s already cut into small pieces. Tandoori paste: Includes vinegar, lemon juice, garlic, and spices for lots of flavor. Eggs: Scrambled first; a common addition to fried rice. Mushrooms, green peas, carrots, and green onions: Veggies add flavor and plenty of nutrients. Sesame oil: A common oil used in Asian dishes. Rice vinegar: Adds a bit of tang. Liquid aminos or soy sauce: Another common ingredient that enhances flavors with an umami effect. Sesame seeds: Used as a garnish. 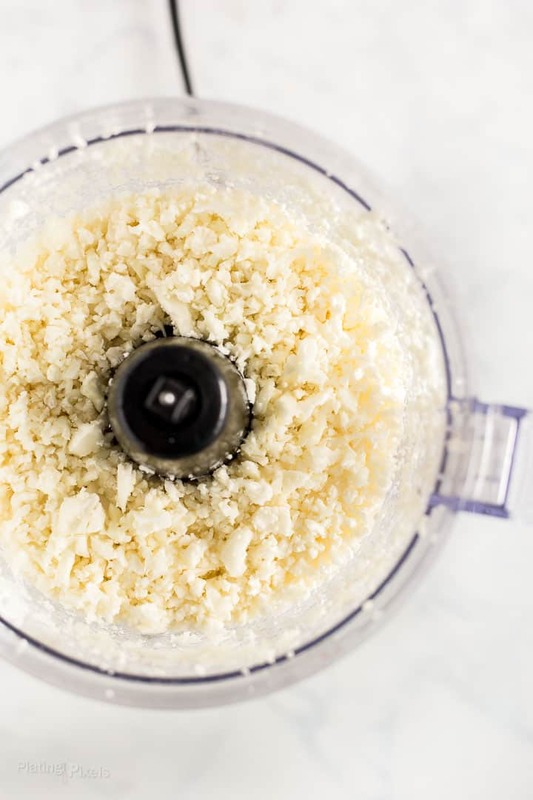 Simply add large cauliflower florets to a food processor. Pulse a few times until it reaches the consistency of rice. Do not pulse too much or it will become fine. Cook in a pan over medium-high heat 3-5 minutes to soften. 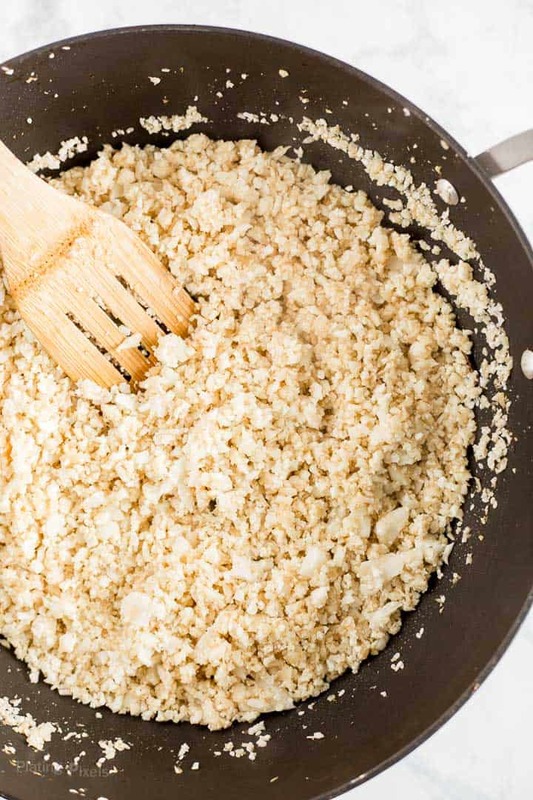 Use cauliflower rice to substitute cooked rice in any recipe for a low-carb option. Cauliflower makes a wonderful keto alternative to rice. It has a similar texture, but a fraction of the carbs. 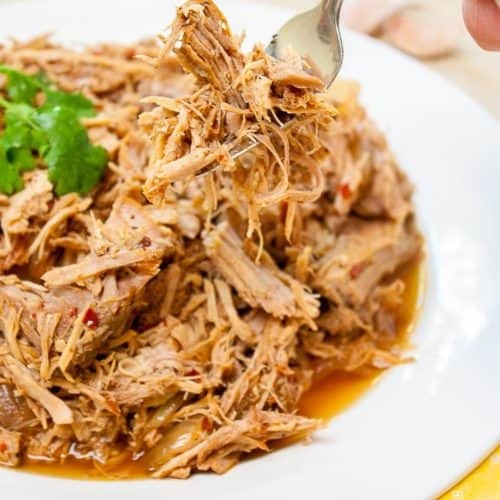 It has a mild flavor and easily soaks up flavors of the sauce or other ingredients. Another bonus in that it cooks in just a few minutes, instead of the 30-40 minutes required to cook traditional rice. Does cauliflower rice taste the same as traditionally cooked rice? A reader posted this question and I think it’s a great one! Cauliflower rice has a milder flavor than rice and doesn’t overpower other flavors in the dish. Most people wouldn’t be able to tell the difference. If you don’t have a food processor you can chop cauliflower by hand. Alternately you can buy a package of uncooked cauliflower rice in the produce section of most grocery stores. Don’t over pulse the cauliflower or it will become too fine. Use organic or grass-fed beef for best flavor and nutritional benefits. If you can’t find tandoori paste substitute with hoisin, teriyaki, or another Asian sauce. However, these often contain gluten and added sugars. Use liquid aminos for keto and gluten-free, however, the flavor will be slightly different than soy sauce. Customize veggies how you like: Remove any you don’t like and try adding others such as edamame beans, snow peas, string beans, water chestnuts, or bell pepper. 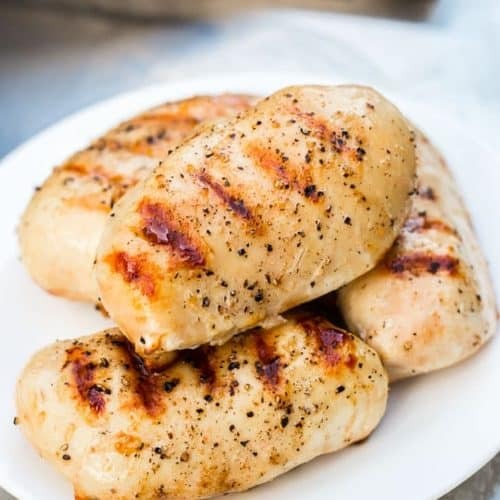 This recipe is great for leftovers or meal prep. Store covered in the fridge for up to 5 days, or freeze for longer storage. 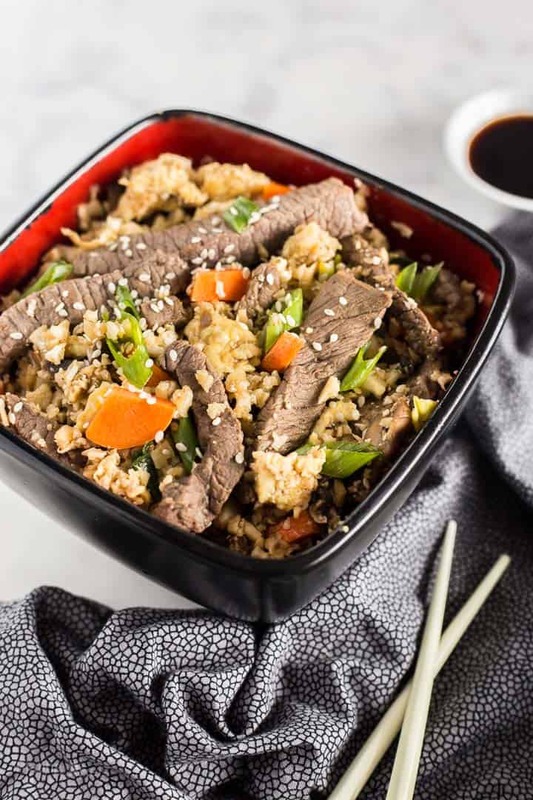 Keto Beef Fried Rice made with cauliflower rice is a low-carb and keto stir fry that's loaded with flavor. Remove bottom stem from cauliflower and discard. Cut the cauliflower into large pieces. Place pieces in a food processor and pulse a few times until it reaches the consistency of rice. Set aside. Heat 1-tablespoon olive oil in a large wok or stir-fry pan to high heat. Add beef pieces and sprinkle with salt and pepper. Stir-fry meat for 3-5 minutes until outsides are browned and meat is cooked to medium, with just a bit of red in the center. Stir in ½-tablespoon tandoori paste and place beef, with any liquids, on a large plate or bowl and set aside. Reduce heat to medium and add a bit of olive oil to the pan. Scramble eggs with a pinch of salt just until set, 1-2 minutes. Add to beef and scrape the pan clean. Place remaining olive oil in the pan. Stir-fry mushrooms, peas, carrot, green onion, and remaining tandoori paste over medium-high heat until carrots are tender, about 5-7 minutes. Remove from pan and set aside. Heat sesame oil in the pan over high heat. Stir in cauliflower rice, rice vinegar, and soy sauce. Stir-fry 3-5 minutes to soften cauliflower. Stir in the cooked meat, egg and veggies until well combined. Heat through a bit longer if needed. Serve garnished with sesame seeds. 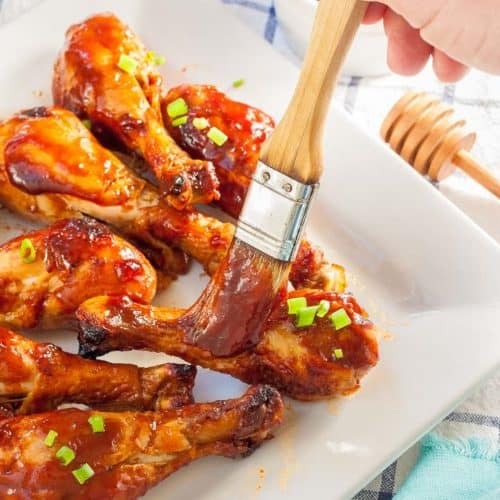 If you can't find tandoori paste substitute with hoisin, teriyaki, or another Asian sauce. However, these often contain gluten and added sugars. I made a double batch and it is AMAZING! The ingredients blended perfectly and tasted delicious. Great recipe! That’s great Mary! It works wonderfully for leftovers. Thanks for the feedback and glad you loved the recipe so much! I love the fact that you used cauliflower rice in this version. It is such a healthier and adaptable substitute for rice. I recently discovered that and it totally is! Thanks Mirelle. Really like the above recipes. Just one question, does cauliflower rice taste the same as traditionally cooked rice? That’s a great question Gabriella and think I’ll add it to the post. It has a milder flavor and soaks up other flavors well. Most people wouldn’t be able to tell the difference! I love using sesame oil too for these type of dishes. Cauliflower is expensive in Australia at the moment, it is crazy as it costs more than a whole chicken. But I too love it and think it is better than normal rice. This dish looks fab and I love that you have taken your time with the detail in your photos as they look great. Cheers! Thanks for the feedback Adrianne and glad the process photos of the recipe helped. Sorry to hear that, you could totally sub it with regular rice, Asian noodles or even quinoa. Looks like a great dinner option. I love using cauliflower rice. Thanks Jill and I plan to start using it more! It sure is! Thanks Natalie.